If you haven't noticed, I have an obsession with the Maya Road flat-back pearl trim. You can buy them by yardage but I have whole reels of them...you know,just one reel for each design. *LOL* Seriously though, they add serious "glamour" to everything you put them on, right? Ohhhhhhhhh these are gorgeous! 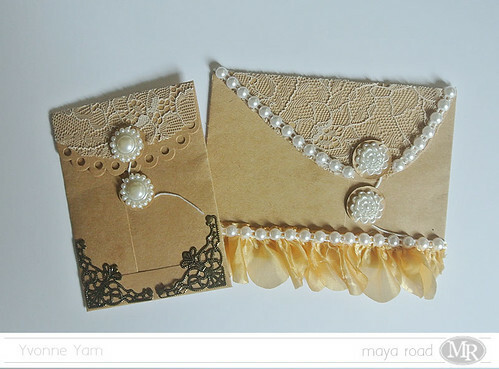 LOVING that lace and pearls!!!!!!!!! 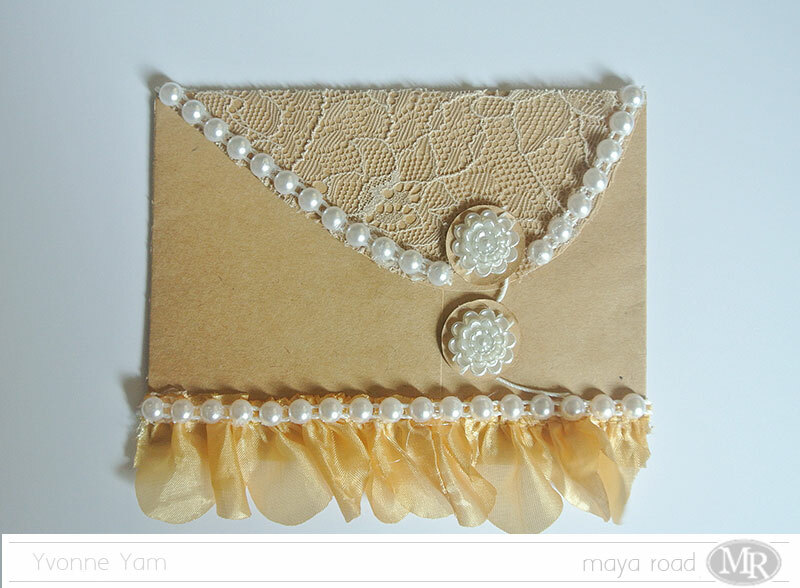 These Kraft envelopes are so awesome, omgosh! 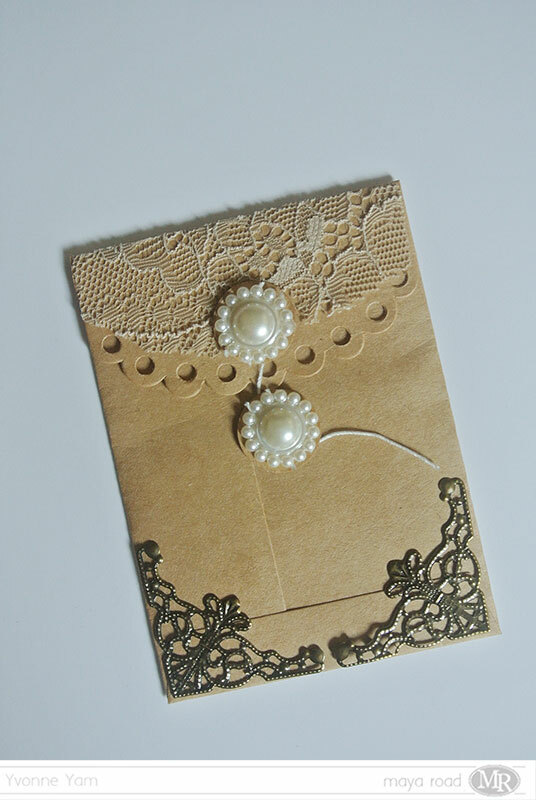 Love the pearls and lace! 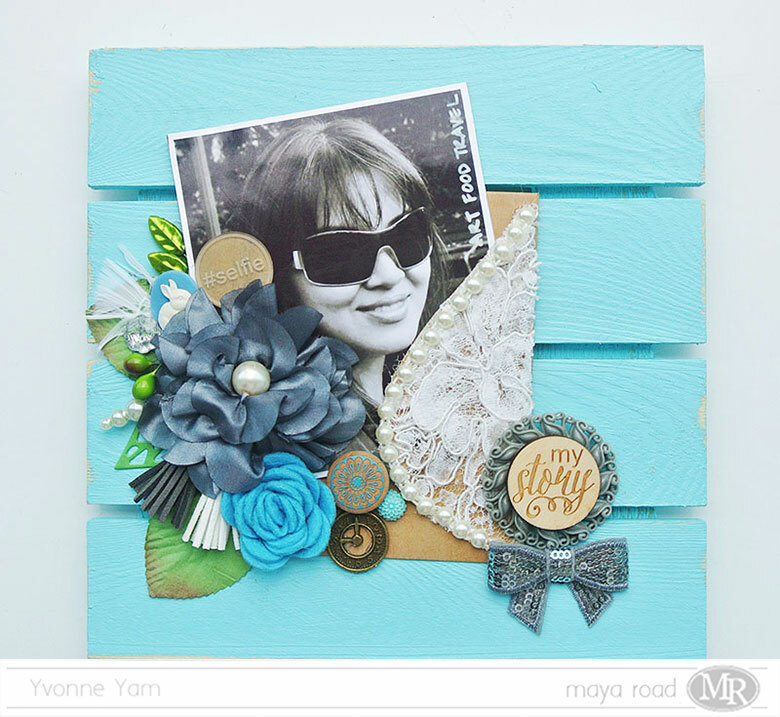 Perfect shabby chic combo with that natural Kraft!